Are you sick of typing out your email address because there’s no autofill option or you have more than one account? 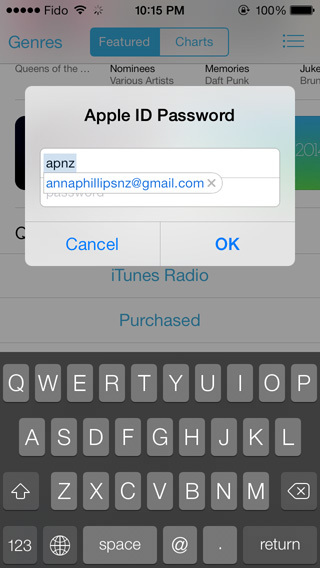 If you add your email address as a shortcut then you can enter it with ease. Phrase – your email address. Shortcut – this is what will trigger the autocomplete. Make it an acronym or something you wouldn’t ordinarily type. Now when you’re filling out a form, just type in the shortcut you chose and your email will be autocompleted. The great thing about using shortcuts is that it works throughout the whole of iOS, not just Safari, so it’s really useful within apps or in iTunes. 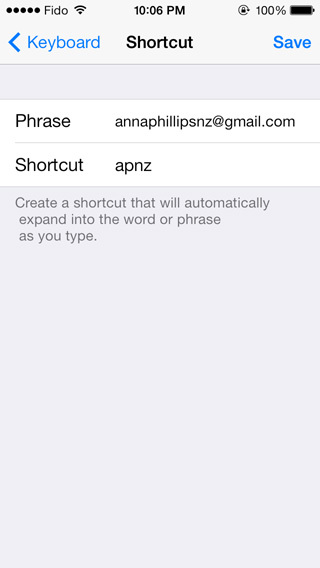 You can also create multiple shortcuts if you have more than one email address.